Call changes, Plain Hunt Doubles and Whole Pull and Stand. Ringing for Morning Remembrance Service with bells half muffled. *John Chandler and Bob Galvin are 'Ringing Remembers'recruits. First submitted Sunday, 11 November 2018 at 20:59:34 by Paul Smith. 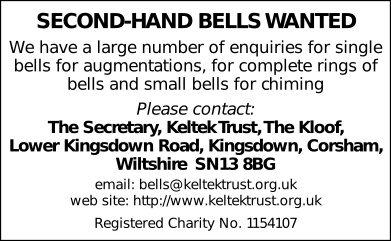 Sent for publication in The Ringing World on Friday, 16 November 2018 at 13:45:30, and printed in issue 5614. This performance has been viewed 163 times.